Koh Lanta’s mellow, go-slow vibe sets the stage for a relaxed getaway. Unlike the more popular islands of Phuket or Samui, Koh Lanta doesn’t draw in a large vacationer crowd, and its beaches remain relatively uncrowded throughout the year. While unwinding at a leisurely pace is the way of life here, there’s a wide-ranging array of attractions to suit different moods and preferences - from lounging by the beach, to hiking up to a cave attraction or snorkeling at an offshore island. 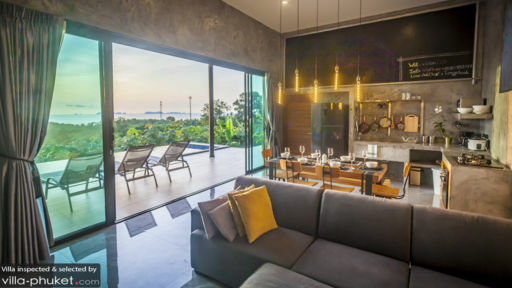 Your Koh Lanta villa enjoys uninterrupted views of tropical greenery, sun-dappled grounds and easy access to the beach. 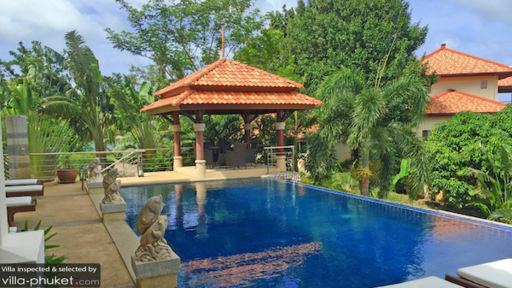 An infinity pool sparkles under the sun, outdoor salas provide a breezy spot for massages and yoga and the beautifully appointed living spaces offer air conditioned comfort. The decor is a mix of traditional and contemporary design elements, and service is impeccable. 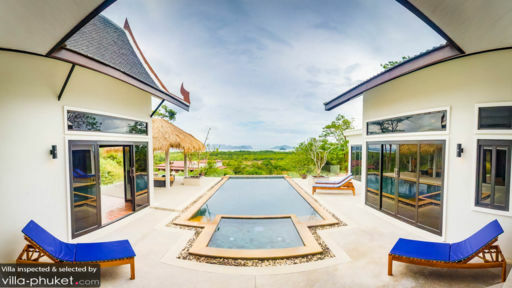 In-villa experiences - like private dining, yoga classes or massages - may be arranged at request. Take your pick from one of the island’s many beaches. If you’re travelling with young children, your best bet is to head north to the beaches of Kay Kwang or Klong Dao. The gentle, sloping shores and shallow waters here offer a kid-friendly environment. Phra Ae, also known as Long Beach, offers a different vibe; its vibrant nightlife scene draws in a crowd that comprises largely of young vacationers. Looking to unwind? There’s Klong Kong Beach; located in the center of the island, the beach boasts a beautiful white sand coast and a handful of breezy beach bars. Or head down south to Kantiang Bay. Few travellers venture here, so you won’t have to rub shoulders with crowds of sunseekers. The island offers a wide variety of dining options to suit different moods and preferences. Our favourite fine dining restaurants include Seven Seas Wine Bar and Restaurant and Tides Restaurant (both offer spectacular sunset vistas!). Rak Talae Beach Bar, located within the grounds of Pimalai Resort is a great bet for sundowners. There’s also El Greco Greek Taverna, a casual beachfront venue that dishes out generously proportioned Mediterranean fare and Caoutchouc, a quiet bar located in the old town. Beyond the beach, Koh Lanta offers much to see and do: there’s yoga, Thai cooking classes, bouldering, snorkeling, motorbike tours and more. We like Oasis Yoga for its open-air environment and serene ambience, Time for Lime for its informative cooking classes, Lanta Paintball and Bouldering Cafe for its top-notch paintball and bouldering facilities and Pimalai Resort and Spa for its decadent spa treatments, which range from sea salt scrubs to clay wraps and facials. You can also take a drive out to Krabi, about an hour away for a day trip to experience the livelier vibe on this island. Feel free to reach out to us (or your villa manager) if you need more information with planning your travel itinerary!